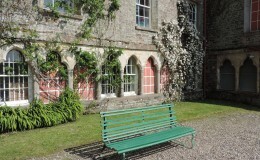 Hartland Abbey is a family home and is open to the public for a fee to visit the grounds and interior. The layout of both grounds and gardens are not fully accessible to all disabled persons. If you require specific information on your visit please telephone or email and we will be pleased to advise. Access by wheelchairs to the tea rooms (open from 11-30am), exhibition, museum, shop, documents and photographic exhibition are all on ground level and fully accessible (open from 2pm). The main rooms of the house are at first floor and access is via wide external steps . The upper rooms of the house are accessible via internal staircases. For visitors unable to use these internal staircases a photograph album is provided with images of the first floor rooms. We regret we are unable to allow electric scooters into the house due to restricted access routes. Guide dogs are allowed. 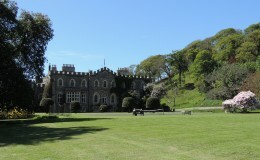 The large lawns around the house are on flat ground with benches to sit on and enjoy the surroundings. 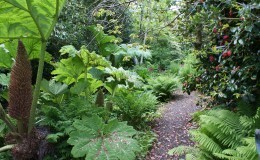 The grounds, gardens and walk to Blackpool Mill are accessed via paths and walks, some flat, some uneven. It is therefore at the visitors discretion if they choose to use these routes. The walled garden has parking facilities which disabled visitors are welcome to use, again these gardens have small gravel paths and some steps. Hartland Abbey has guide sheets translated into French, German, Italian and Dutch for foreign visitors; some of our stewards are also bi-lingual. We provide extra large text room guides for visitors with restricted vision. The data controller responsible for our website is Inventive Web Solutions.